Access to free, onsite parking is on 67th St. Rooftop parking allows for direct access to the center entrance on the third floor. 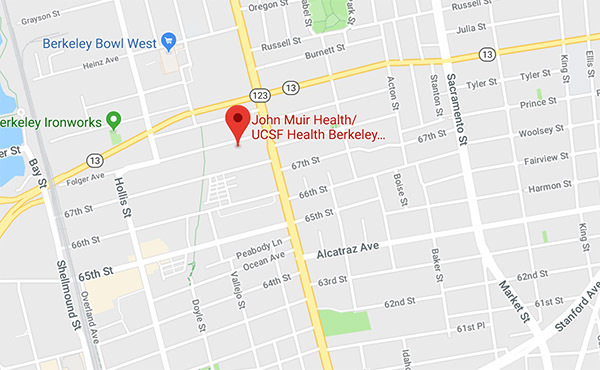 The BART Ashby Station, located at 3100 Adeline St., is approximately a 20-minute walk from the Berkeley Outpatient Center. Several AC Transit bus lines serve the area surrounding the Berkeley Outpatient Center, including lines 72, 72M, 72R and 802. The 80 route runs between the Ashby BART station and the intersection of Ashby and San Pablo avenues. Turn right on Telegraph Ave.